We live in a society of fast food, microwave frozen dinners, happy hours and vending machine snacks; all of which can contribute to poor health. Most Americans work in an office 40 hours a week and then go home and watch television before they go to bed. Sedentary work in an office only adds to the unhealthy lifestyle. 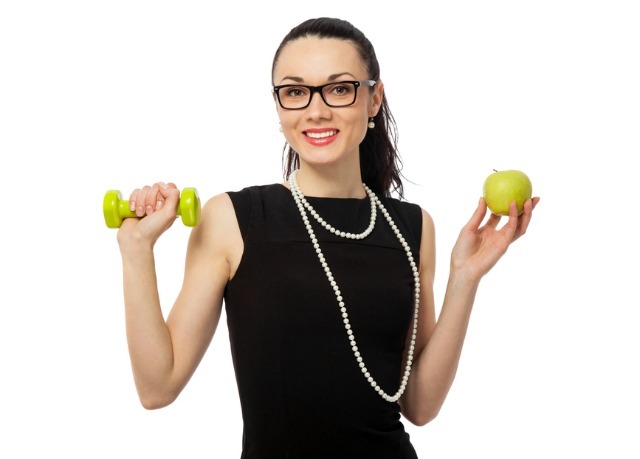 So how can we stay healthy and active at work while still excelling in our professional lives? From avoiding eye strain and tension neck syndrome to passing on those extra calories that co-workers leave invitingly on our desks, below are a few additional ways to stay healthy at the office. 1. Get up and walk. The more walking, the better. Park as far away from the office building as possible and walk into work. Take the stairs instead of the elevator. Walk a couple of laps around the building during lunch. Try going for a quick run before or after work. Exercise not only improves physical health, it also helps mental well-being and can make individuals more productive at work. 2. Bring a homemade lunch to work. Going out to eat or eating microwaveable dinners is very unhealthy and can pack on extra pounds very quickly. Fast food and frozen meals are packed with preservatives and empty calories and can be expensive throughout the month. Instead bring leftovers from the night before to work. Home-cooked meals are generally more healthy and can save money. 3. Avoid the vending machine. Vending machines are filled with unhealthy snacks such as chips, cookies, candy and soda. Snacks are OK to eat throughout the day, but try to choose healthy snacks such as fruits, vegetables, yogurt and trail mix. Keep in mind that snacks add calories, so be sure to count them in the daily total. 4. Drink water. Limit juices, sodas and coffee drinks. Drinking eight glasses of water a day keeps the body hydrated without adding empty calories. Water helps all of the body’s organs function correctly, clears up skin, helps remove toxins and prevents dehydration. Sodas, fruit juices and fancy coffee drinks add empty calories and can dehydrate the body. These drinks are also expensive. Try to limit intake to maybe one soda or one fancy coffee drink per week. 5. Enjoy a nutritious breakfast. The adage, “breakfast is the most important meal of the day,” is true. It helps the body replenish energy stores and gives the mind a boost throughout the day. Oatmeal, whole-grain cereal, a slice of whole-wheat toast, fresh fruit and yogurt are all healthy choices. Counteract the daily coffeehouse fix by drinking orange juice, skim milk, water and/or plain brewed coffee. “Deskercise.” Not everyone has an office door to privately exercise behind. Taking fitness breaks for gentle stretching or mild exercises using portable equipment, such as resistance bands and small hand weights, can improve core strength and help prevent bad posture. Or trade the desk chair for an exercise ball. Exercise balls are comfortable and will help strengthen core muscles. Try 15- to 30-second leg lifts underneath the desk, or stretch those legs during a water break. Maintain good posture. Having bad posture can result in back and neck pain. Most office workers are hunched over in their desks 40 hours a week, causing poor posture and weakened core. Certain ergonomic changes can really make a difference: Sit close to the workstation, keep monitors at eye level, keep the keyboard (or the steering wheel, if the job involves driving) at a level that doesn’t require too much reaching and isn’t too high or low, sit with legs flexed at a 90-degree angle with feet resting comfortably on the floor. When picking up objects, lift with the legs and keep the object close to the body and toward the middle of the trunk. Devices such as computer stands, back pillows and foot rests can help maintain good posture and prevent unnecessary back and neck problems later on in life. Limit after work drinks. Happy hour is a chance to bond with co-workers, but it also encourages empty calories. A pint of beer adds about 200 calories to the daily intake. Have fun, but keep track of the extra calories. Wash hands often. Washing hands with soap and water prevents the spread of germs and getting sick. Sick days result in less productivity and less income. Although it might seem obvious, many don’t take hand washing as seriously as they should. Always wash hands before eating, after using the restroom and after sneezing or coughing. Keep the workspace clean. The average desk harbors hundreds of times more bacteria than a toilet seat, which is pretty gross. Keep work areas neat and organized. Tidy up at the end of each day for five minutes. Keep sanitizing wipes and spray on hand and wipe down the surfaces often. Maintain a healthy work/life balance. Most American workers live a fast-paced life that can feel hectic at times. In this new economy, many companies require employees to do more with less. To be effective and remain healthy, learn to properly manage stress levels. Whether it’s the occasional spa day, time with family or a good book, find what works best for you and take time out for it. Make sure to take care of yourself first and foremost, and maintain a healthy balance. If you are stressed out at work it can affect other aspects of your life. Sovereign Health Group focuses on the whole person in its addiction, mental health and dual diagnosis treatment programs. Taking care of yourself at work is part of a healthy lifestyle. For more information, call 866-544-5504.